This entry was posted on April 19, 2013, 3:54 PM and is filed under General Weirdness. You can follow any responses to this entry through RSS 2.0. You can leave a response, or trackback from your own site. Ha! Now I know the truth of ToT! It took two posts to pound it in. Now my head hurts. Is it ice cream time? I hope the world’s inspiration brings you to heavy metal pet bunnies in place of the current life stew. Dude, if you’ve figured out what the hell I’m talking about you are one giant step ahead of me. Yes! Dippin’ Dots references return to ToT! By the way, the Hussein Abdul-Jihad line was priceless. Thanks man! Any chance I get to take a poke at Dippin’ Dots I’m down for. “Dippin’ Dots…stupid.” Best Dave quote ever. Ron Ziegler has been undead for 10 years. This troubles me – what would a Zombie be doing emptying a bag of tropical fish into the Chattahoochee River? Was this some kind of subtle protest against water being drawn from the Chattahoochee River (which flows into the Gulf of Mexico) being used and then treated in sewage plants in Atlanta, which then discharge the water into the Oconee River, which flows into the Atlantic? Ziegler’s not undead…he’s just unsleeping. If their were ever a bloodless ghoul, it was old Ron. I like what you’re doing here. Give me satire or give me death! Yessir!!!! Onwards!!! I dug your Mustaine bit a lot as well. Keep the insanity coming. 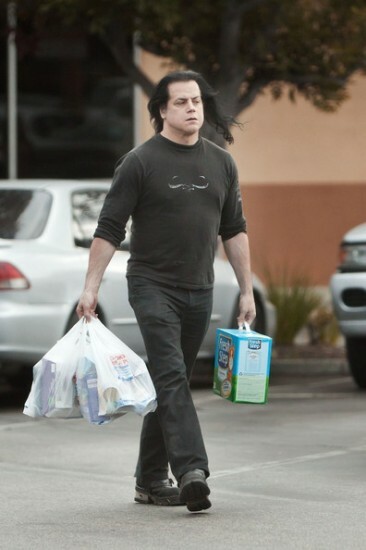 Has Glen Danzig been banned from being in plain sight following a recent Geneva Convention? Best creativity and story telling I have seen since Dr. Katz in the late 90’s. Amazing, keep it coming!